You love to travel or maybe you have a job that keeps you on the go but your canine companion can’t always come with you. 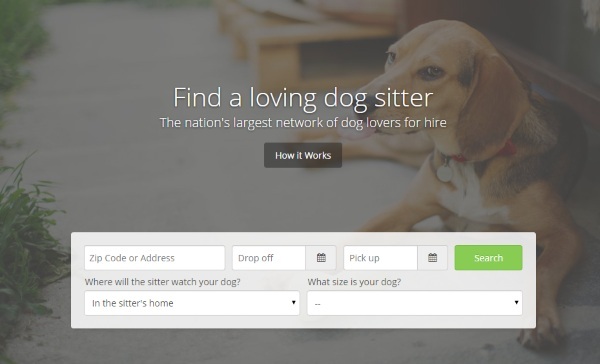 If you’re tired of begging friends to help you out, give Rover a try, the website that helps you find a dog sitter. Finding a reliable dog sitter (that your dog is comfortable with) can be hard. Putting them in boarding stresses them out and leaving them at home alone may stress you out. 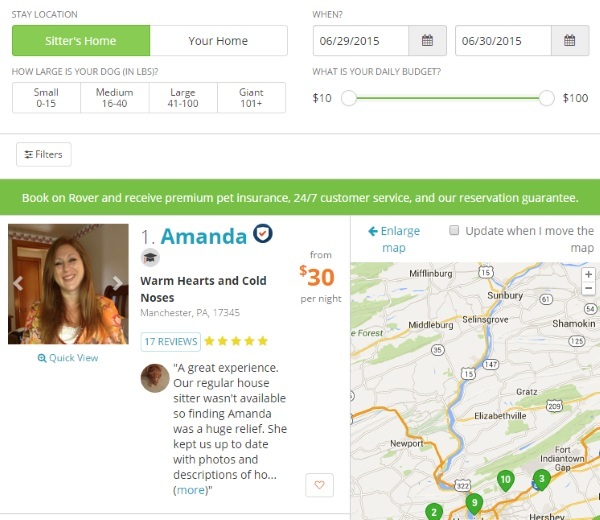 Just put your zip code into Rover and you’ll come up with hits on responsible dog sitters looking to help you out. The site asks for the time frame you are looking for as well as where you would you like your dog watched (your home or theirs). Once you answer a few short questions, it spits out results for you. From there you can contact the sitters of your choice and set up for your dog to be watched. Now you can travel worry free. Rover is free to use but of course, you will have to pay your dog sitter.